Aztec Secret Indian Healing Clay - if you have not heard about this detox mask then sister, you must be living under a rock. The whole world knows about this. A cheaper answer to all the maddening skyrocketing skincare treatments in the world. 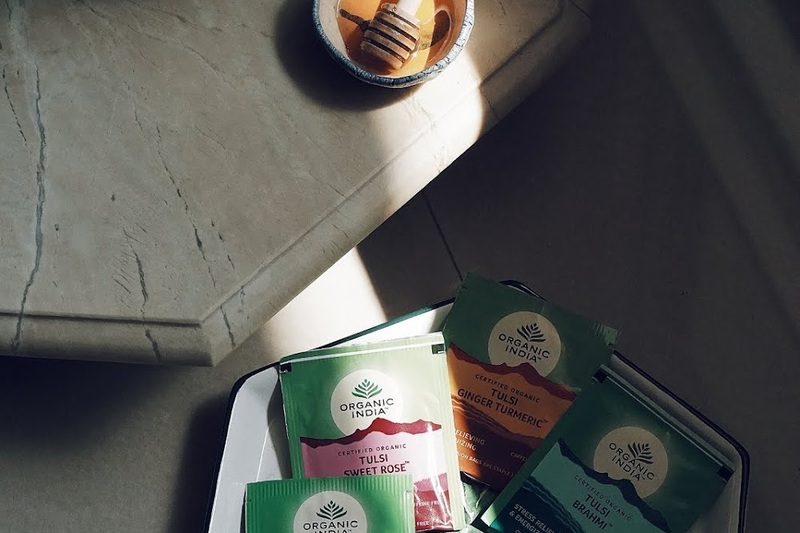 Mix it with apple cider vinegar, and you have the magic potion ready. Therefore, this was in my to-try list. Unfortunately, I forgot to add it my card initially while purchasing products from iHerb. I made another purchase from iHerb just to add this. 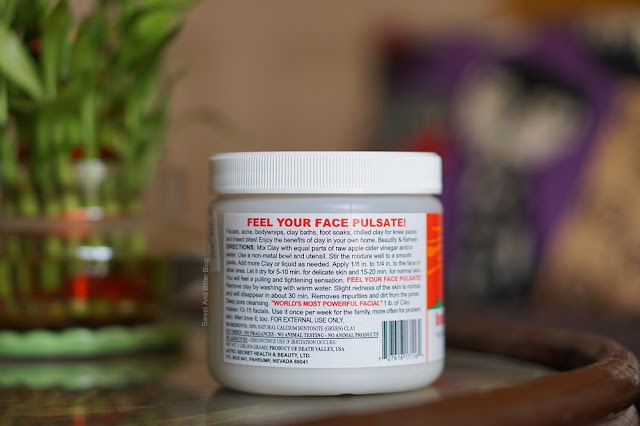 For weeks, I was contemplating the idea for how risky it might be - it literally says - feel your face pulsate! I finally tried this a month back and here is all I have to say. 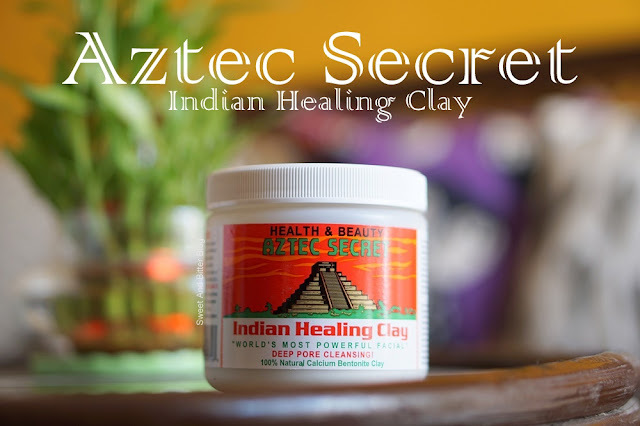 Ingredients: 100% Natural Calcium Bentonite Clay. No Fragrances. No Additives. 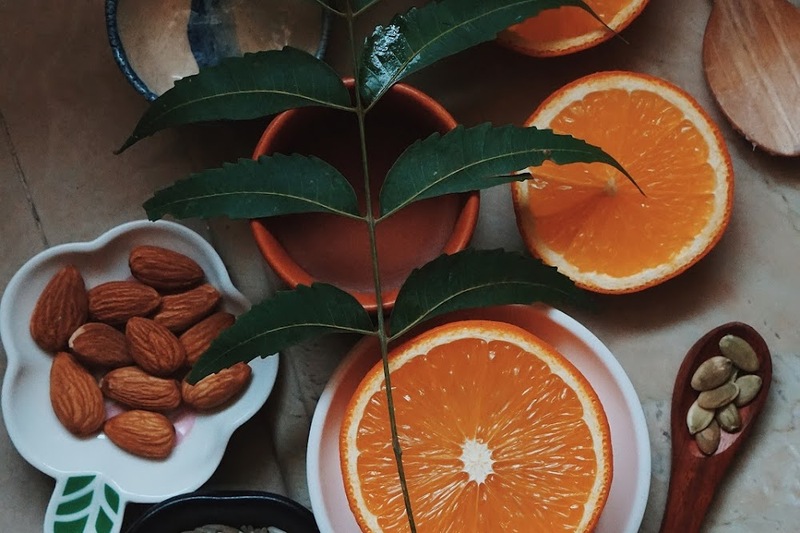 No animal products. (And not tested on animals). How to use: The packing mentions various uses for this, but I have used it only for the face so far. I mix it will equal part of apple cider vinegar. I use 5% Heinz, but the best option is to use Bragg's Raw Apple Cider. I use ACV as hair conditioner after shampoo (Cannot recall the last time I used silicone conditioners!) so, I am used to the acidity of ACV. If you are new to this, then I will suggest that you mix water. Start with 2:1:1 of IHC, ACV, and water. Then go up to 1:1 of IHC and ACV. Also, apply a thin layer. A very thick layer is not very helpful but a waste of product. First of all, they are dead serious about the pulsate thing! It does. 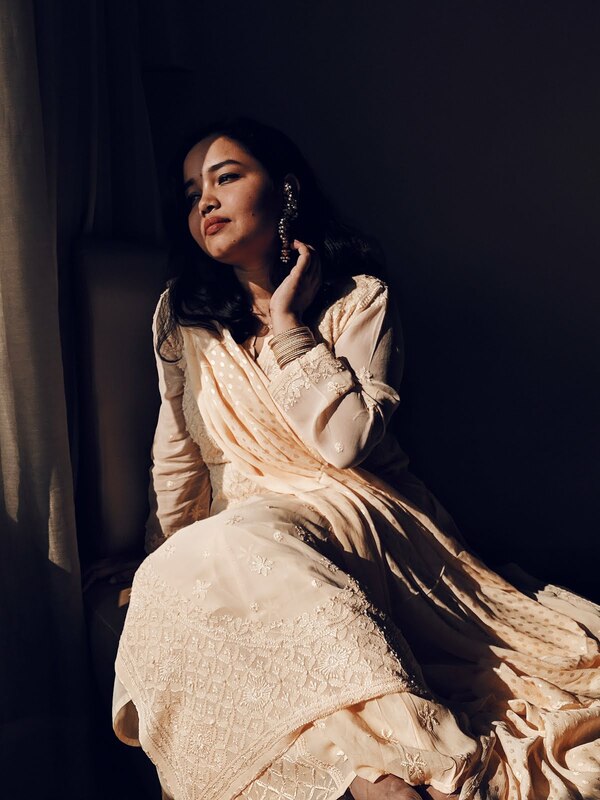 I was not scared of trying IHC because clay masks are bae - Fuller’s Earth Clay/ Multani mitti (India's favorite), kaolin (most common in store brought clay masks), Rhassoul Clay (hard to find but nature's blessing for acne skin) but I have never tried using a clay mask with ACV. The moment you add ACV to the clay, it starts to see fizz and bubbles - tad scary to be true. Mix only 1/4 of a spoon for the face because it swells up. When you apply it, you basically only feel the coolness from ACV then it starts to dry. When it is almost dried, your get the pulsating feeling. I am not an advocate of drying mud masks entirely before wash, but I had keep it on until it starts to crack. It is recommended to be removed with warm water but washes off well the room temperature (Indian!) tap water. Right after you wash it off, be ready to face red skin. It does not dries out or itches but I still like to put on some rose water. 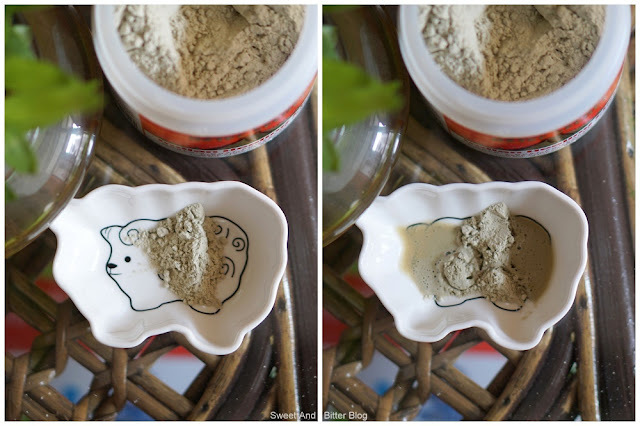 The exciting thing about bentonite clay that sets it apart is that when it is hydrated it is negatively charged (the reason why you should use metal bowl or spoon to mix or apply). This 'electric charge' pulls out toxins and chemicals from the pores. Moreover, it attracts hydrogen so, the skin pulls in more oxygen which helps decongest skin. It also absorbs excess oil and mildly exfoliates. Overall: I liked the mask, and in the future, I will try with honey and with charcoal. 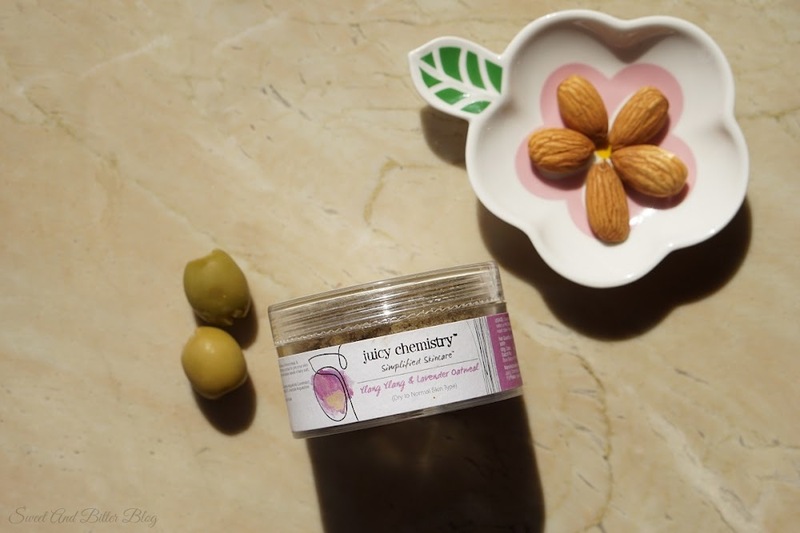 It adds smoothness to the skin without drying. It also pulls out whiteheads. Not very useful for blackheads but maybe it would have it I use warm water. I use a nose strip after using this and get the best results. This is not available in India. 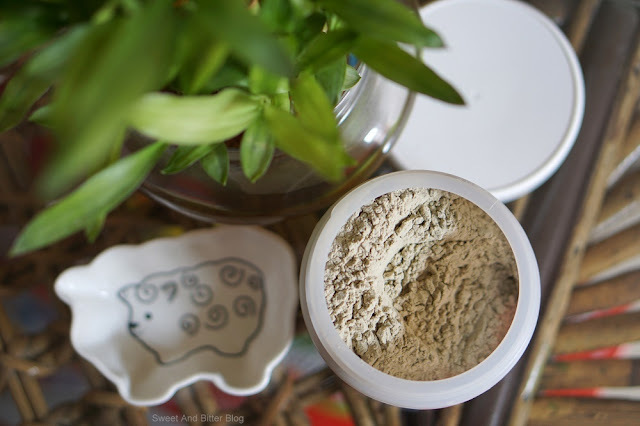 Blend it Raw retails a bentonite clay. I will let you know if that compares to the Indian Healing Clay. 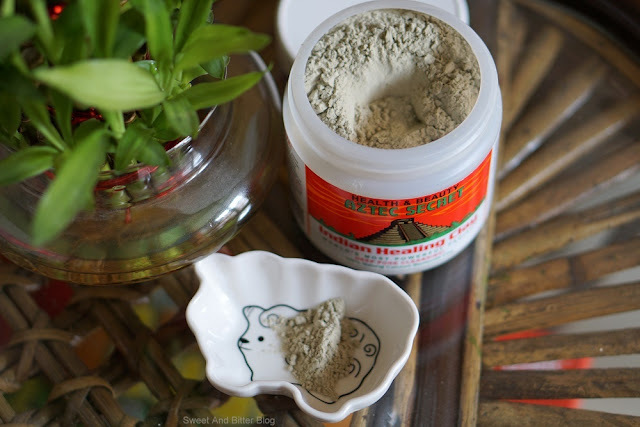 Do you know any other brands which have good quality bentonite clay?